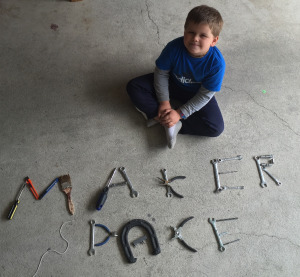 With a Maker Space, you leave behind the theoretical or strictly digital and delve into a tactile hands-on project based learning environment. A physical learning environment is constructed to provide an array of project based learning activities that often require collaboration, critical thinking, and real world problem solving. We are starting to see maker spaces being implemented in science, technology, engineering, and math classes (STEM), but they are often interdisciplinary and collaborative efforts. As an emerging technology they are exciting because their implementation is still in its infancy stages and the results are positive as students enjoy the freedom and collaboration this style of learning offers. Also it is catching on because we are equipping students with skills and experiences that will translate into their future careers.